We are available to cater your next function or event! Whether you are organising a corporate seminar for 100 or planning a casual birthday get together for your nearest and dearest, Hunters' Roots has all your catering needs sorted. 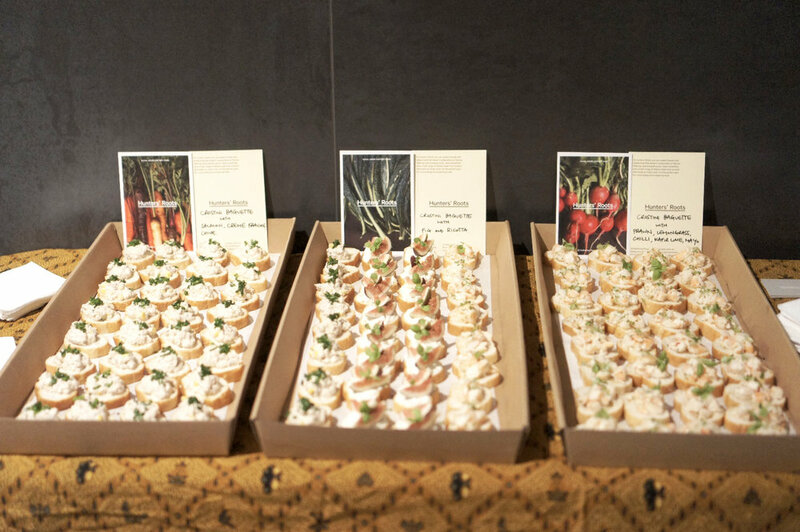 Our catering menu is a showcase of what we do best at Hunters’ Roots : Simple, Flavourful, Satisfying Wholefoods. Everything is made from scratch by us in our cafe using the freshest seasonally inspired ingredients delivered on the same morning. We are proud to support and work with the finest local suppliers and producers. As such, our catering menu is flexible depending on seasonal availability of ingredients and most of all because we endeavour to work closely with our catering clients to tailor make unique catering solutions. Please have a chat with our friendly team to see how we can assist you!